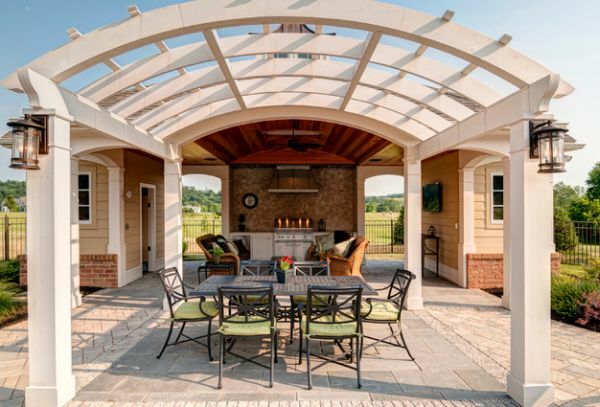 If you are thinking about extending your home’s interior beyond the obvious four walls, a pergola is a great way to add style and panache. 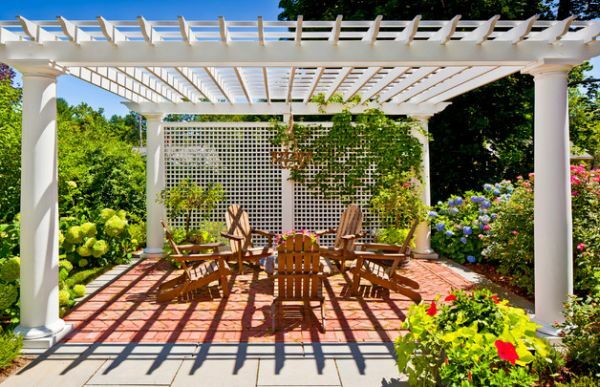 The pergola has been around for quite a few centuries now. So terming the renaissance of this classic as a comeback might be going a tad bit too far. 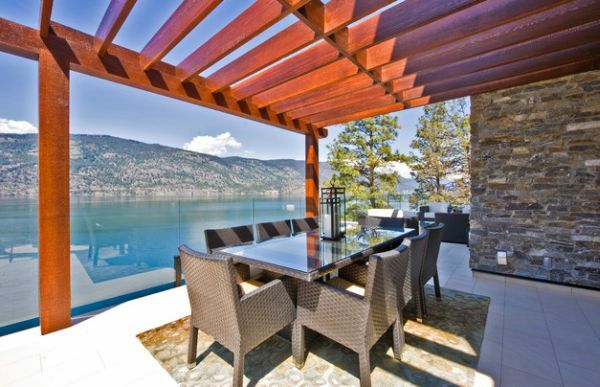 At its core, the pergola is simply a row of vertical pillars that usually supports additional cross-beams on the top. 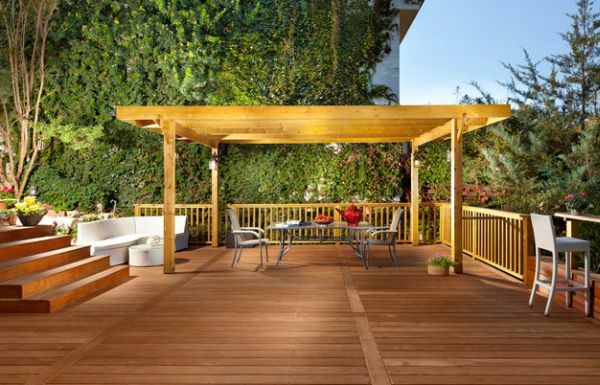 Creating a bridge between a completely closed exterior and an open patio or deck space, the pergola is a wonderful extension of your contemporary home. 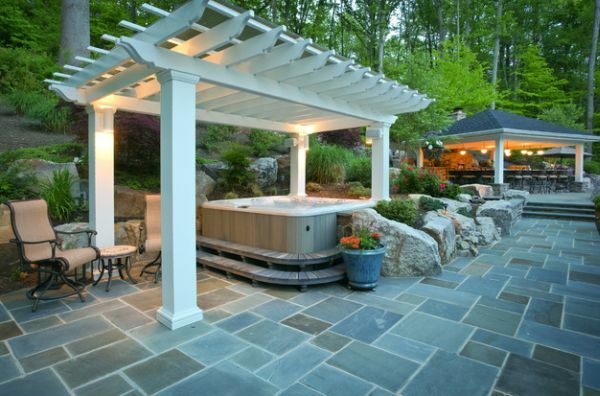 Picture-perfect pergola offers ample privacy – You might never want to leave this one! 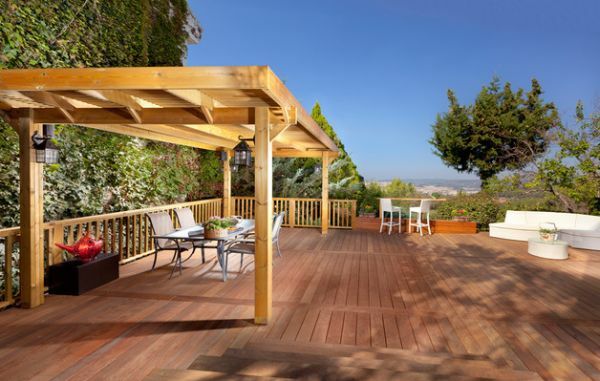 Many will tell you that building your own pergola is pretty easy and can be done with basic carpentry skills. Since, some of us are not that gifted, we cannot actually vouch for that either way. 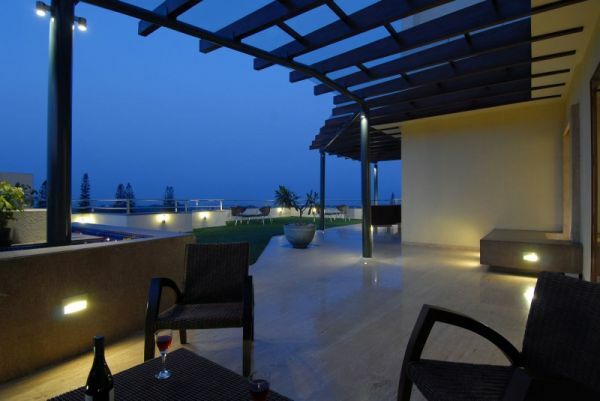 But the most simple pergola designs are not all that hard to replicate and with many DIY projects and custom-designed pergola kits around, you are never short of options. 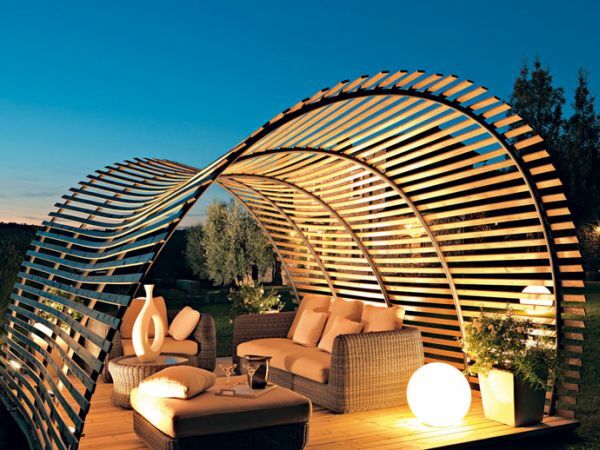 Browse through some of these fabulous pergola models and you might be well tempted to add one to your backyard or terrace as well. 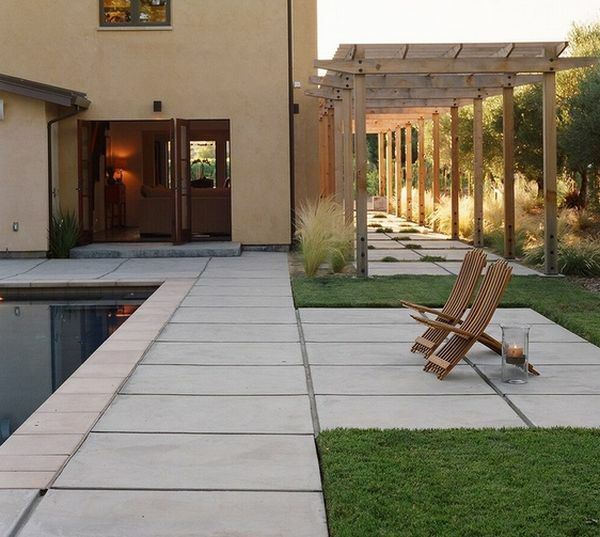 Adding drama and a sense of sophistication, it might be the one missing link that turns your patio into a soothing and luxurious little personal getaway! 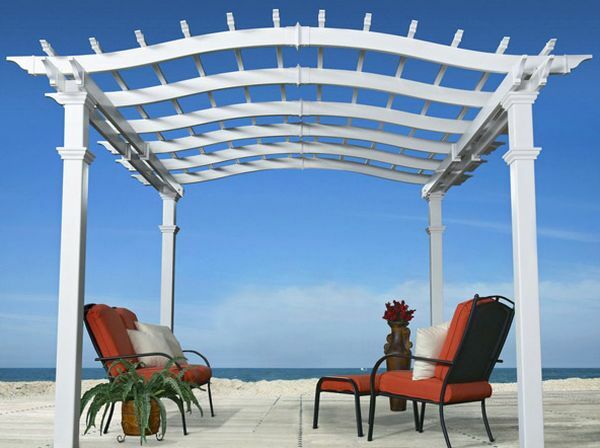 Breezy vinyl pergola is a perfect match for homes next to the beach! 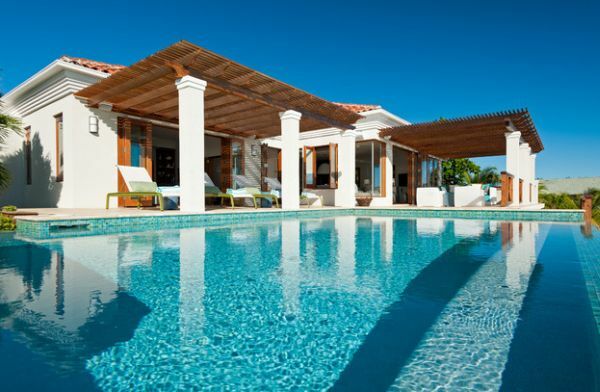 When we talk of stunning pergolas, the free-standing design next to the pool is the one that deserves a mention right at the top. 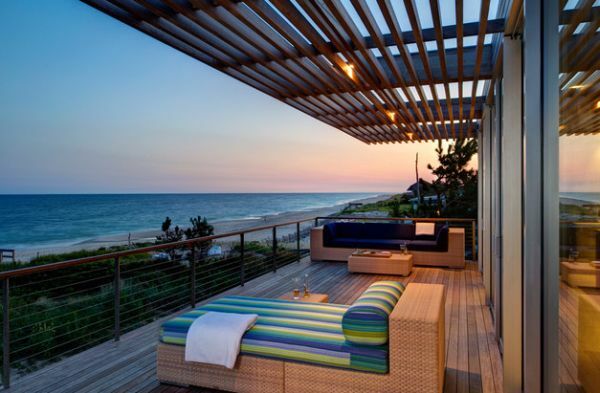 While the style of the pergola and its canopy might vary, the visual of a beautiful and open structure with possibly some comfy fabric added to it brings the images of an exotic luxury retreat in a far away land! 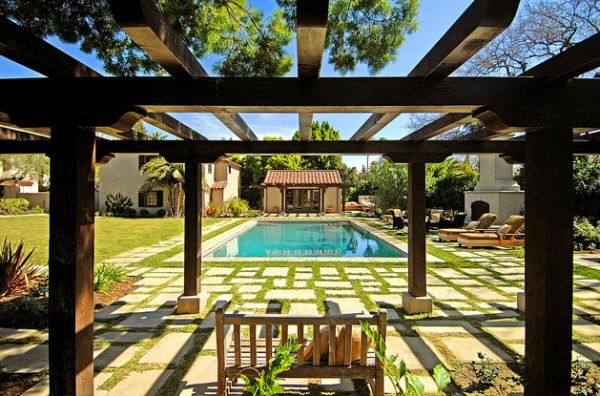 The cool Mediterranean style in pristine white is becoming especially popular in this regard. 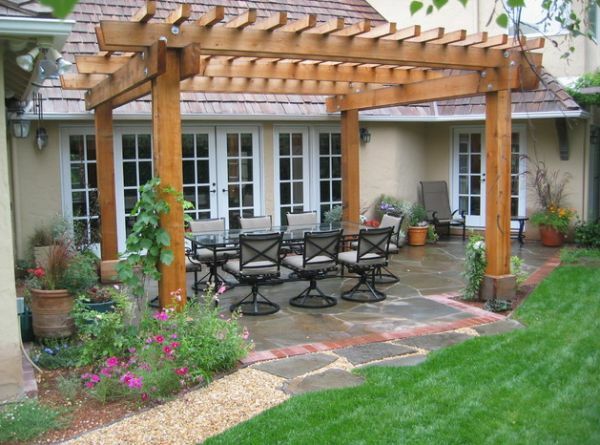 A pergola can be crafted from wood, stone or other artificial material. 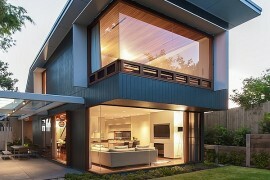 But make sure that the design of the structure is a continuation of your home and its general vibe. Looks like a postcard from a trip to Europe! 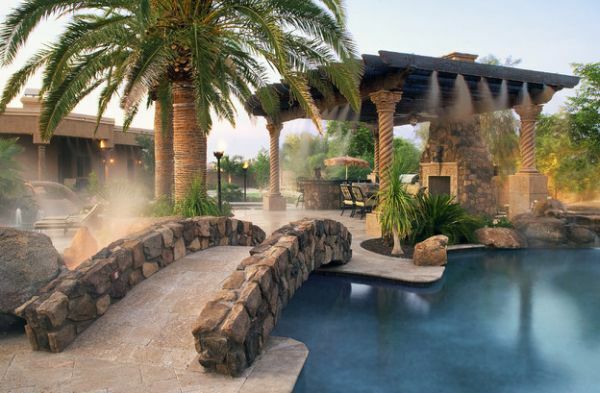 Hot tub under the pergola – For a revitalizing dip! 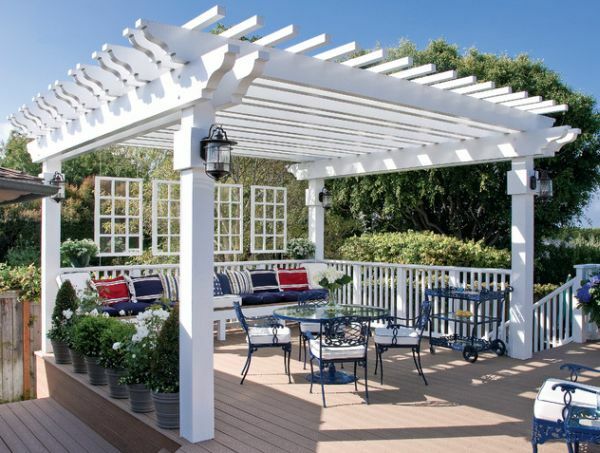 The trim work on the pergola gives it its unique appeal. 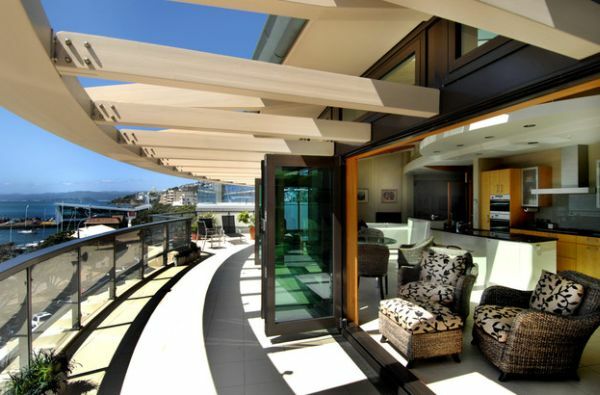 Add stylish canopy fabric to induce a more breezy and trendy appeal. 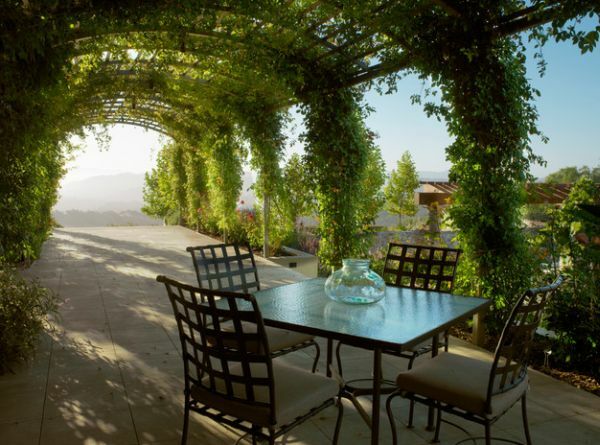 If you love the sight of hanging vines and are a gardening aficionado, then a green canopy top surely has a charm of its own. 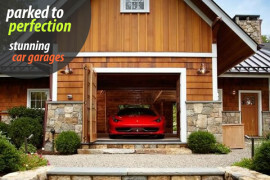 If you are short on space, a simple structure that extends from your home’s exterior works as well. 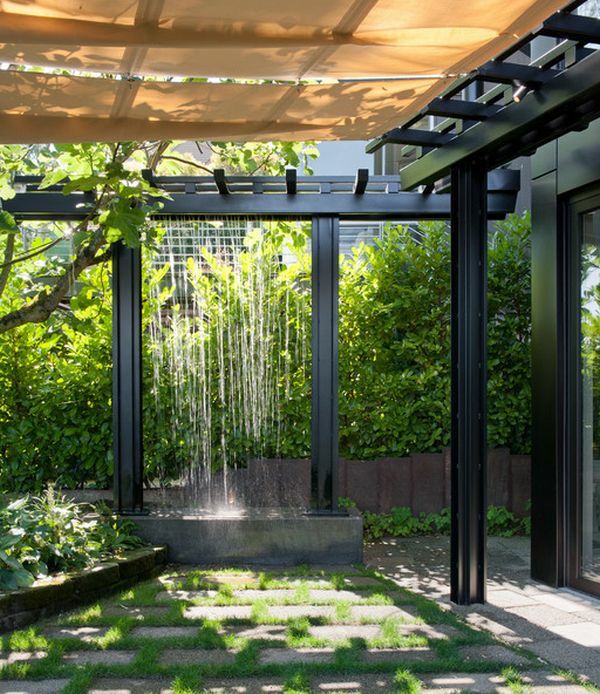 How about adding a few sprinklers to the pergola? 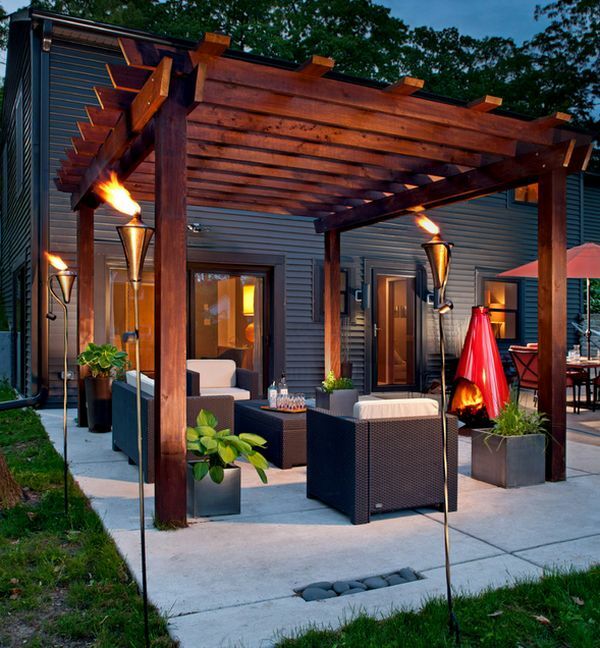 Pergola designs vary immensely and you can always opt for a new look by combining individual elements of different styles. 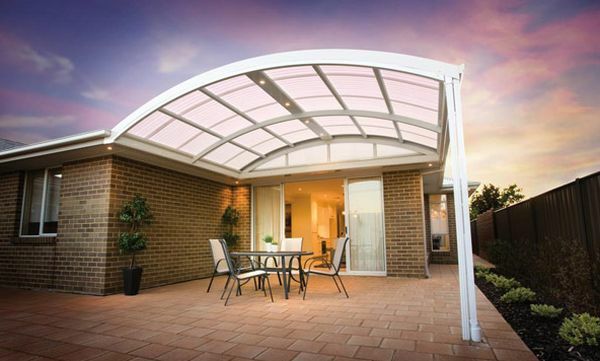 A modern sunroof pergola is a simple extension that gives additional shade to your home and keeps it cool on hot summer days. 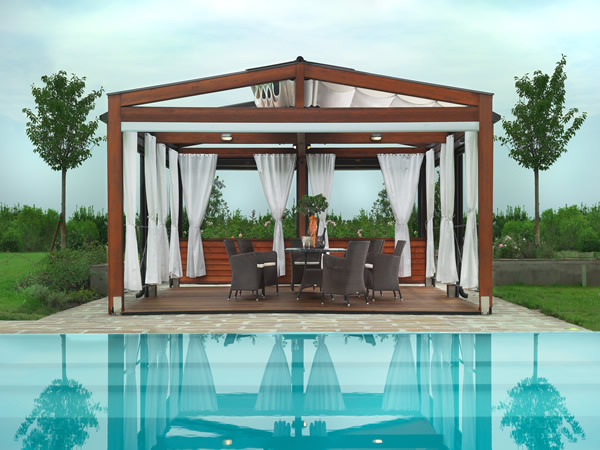 The standalone Tuscany pergola lies on the other side of the spectrum with intricately carved stone pillars, plush wooden trellis and décor that match the structure to perfection. 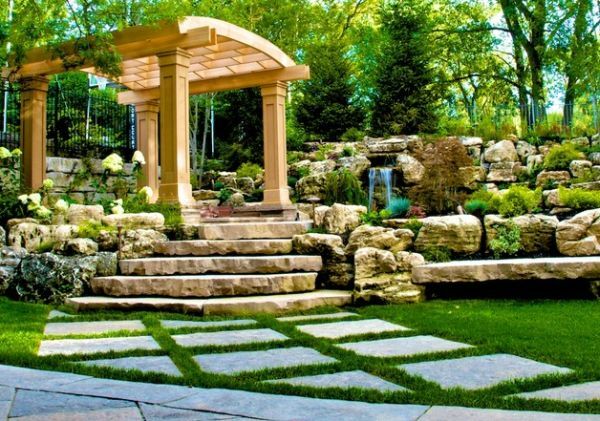 Borrowed from Italian Renaissance gardens, the more classic designs also double up as beautiful walkways with a curved and vine-covered top. 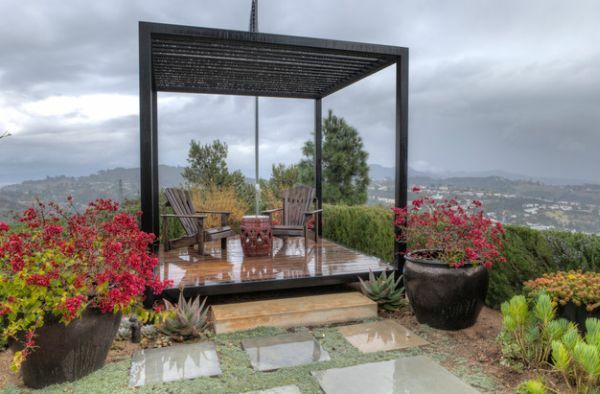 Modern pergolas go well beyond the simple stone and wood creations, Savvy designs crafted in vinyl, aluminum and other lightweight materials are quickly gaining popularity. 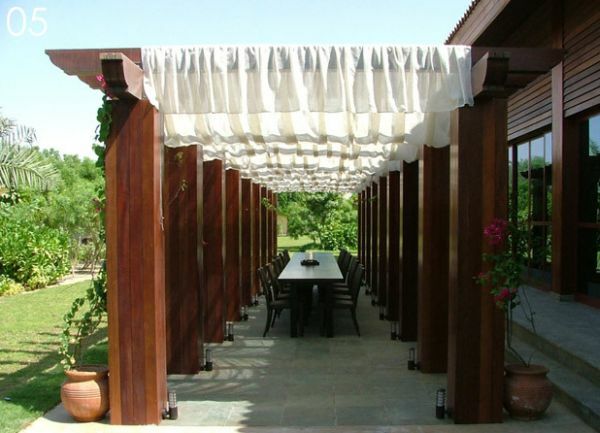 Amalgamating a casual and contemporary atmosphere with the magic of a traditional pergola outline, these are both easy to install and maintain. 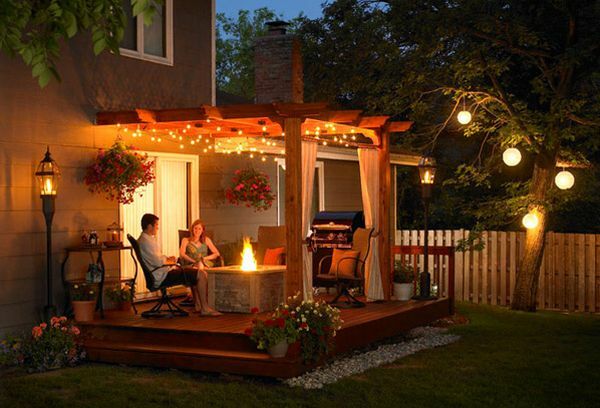 Simple patio pergola with fireplace at its heart – For those romantic evenings outdoors! 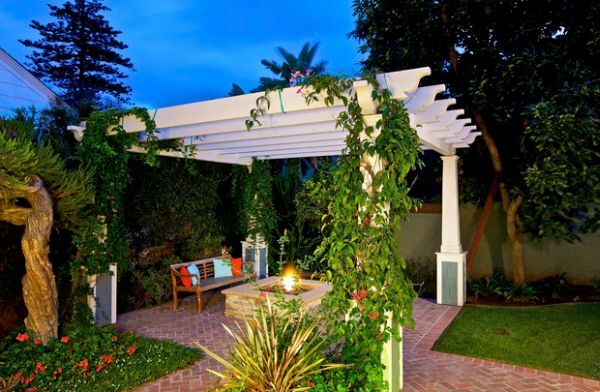 There are a seemingly unlimited number of pergola styles and designs available. 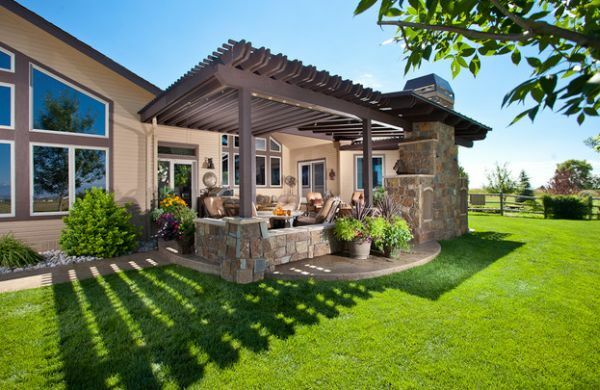 With each home owner having his own specific pergola demands, a ‘one size fits all’ solution is definitely not the ideal choice. 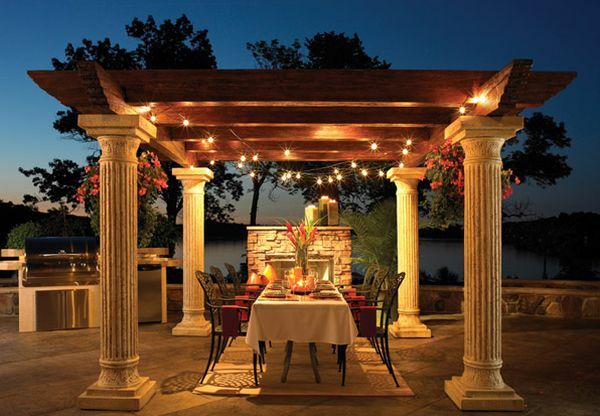 Even with a basic pergola structure, one can easily alter its theme and mood by changing the decor, accessories and lighting. 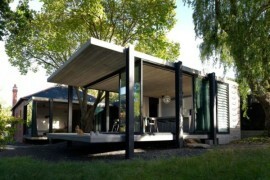 Casual outdoor lounge and dining spaces are all the rave currently. 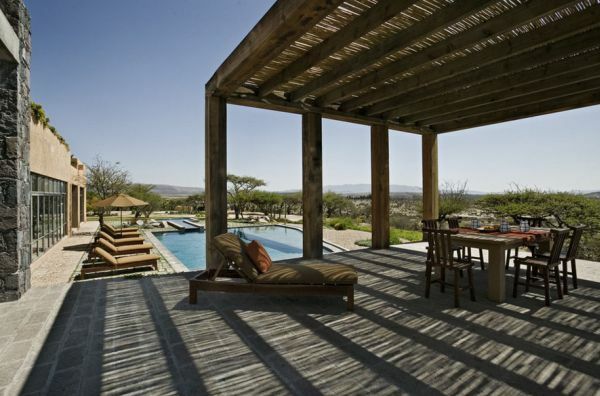 Since most of our parties seem to start after sun-downer, the pergola with smart seating, a warm fireplace and a dining table setup doubles up as a cool and convenient outdoor party area. 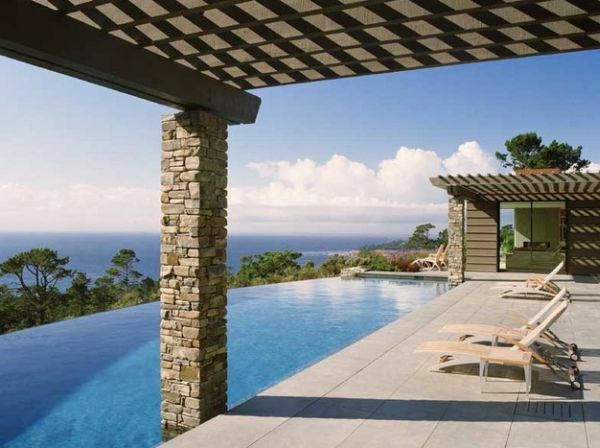 Simple pergola designs can be added to terraces and deck area next to the pool without too much hassle. 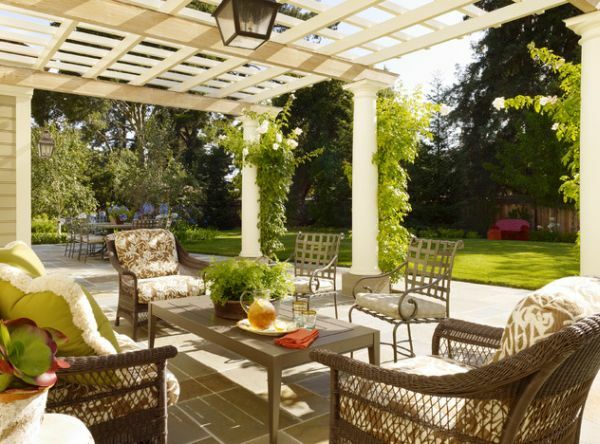 Remember that the pergola need not cover the area in entirety. 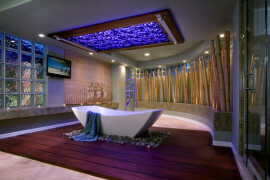 This actually helps craft a multifunctional and ergonomic space that is both aesthetic and useful. 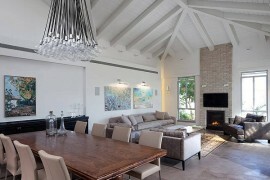 Contemporary fireplace next to the pergola reminds us of the Olympic spirit! 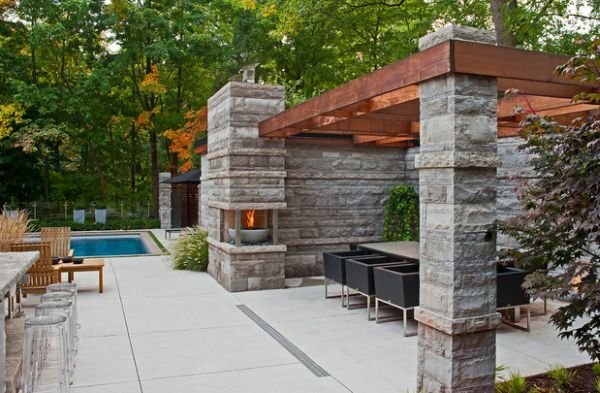 There is nothing like adding a sleek modern fireplace to the pergola. 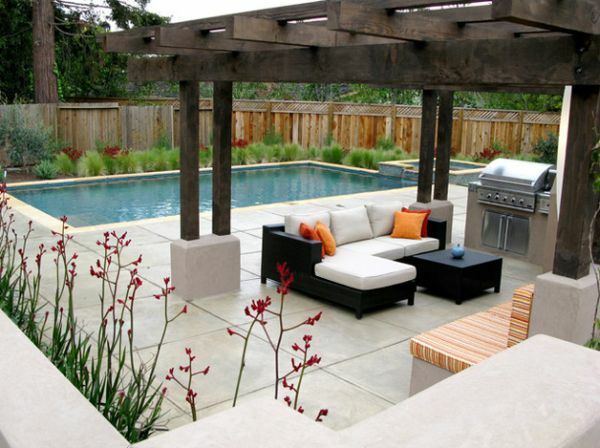 This instantly becomes the focal point as you arrange your outdoor furnishings around the fireplace. 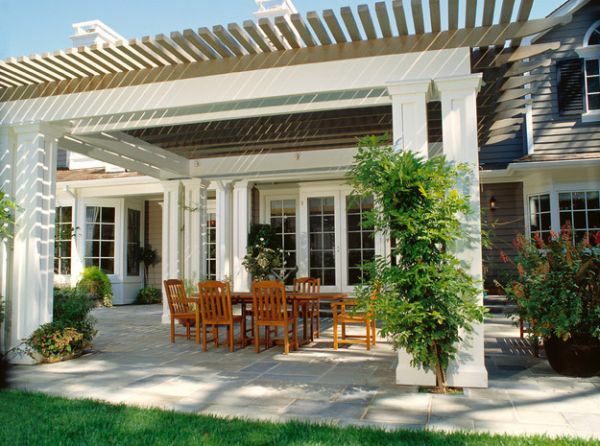 Pergolas are not designed to provide complete shelter. 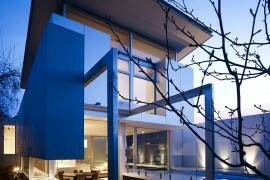 It is in fact, this sense of openness that gives them their exclusive appeal. 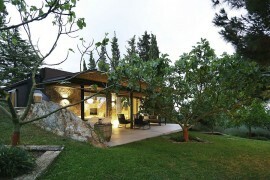 Yet, for those concerned about additional privacy, lovely fabric drapes or even customized shutters get the job done. 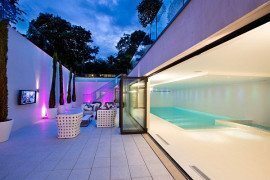 Exquisite pool and pergola design with some amazing lighting!